In late 2016, The Kresge Foundation commissioned a formative evaluation of the initial phase of the City Energy Project (CEP). 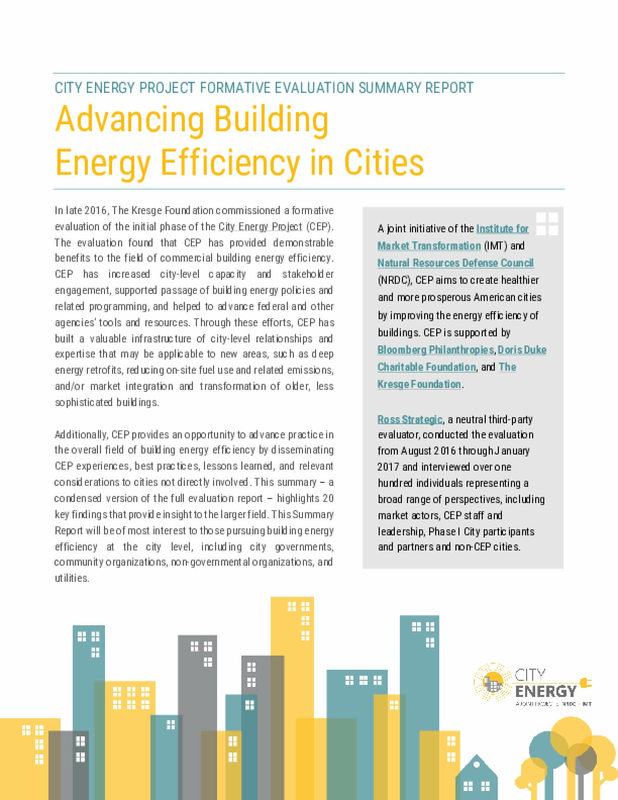 The evaluation found that CEP has provided demonstrable benefits to the field of commercial building energy efficiency. CEP has increased city-level capacity and stakeholder engagement, supported passage of building energy policies and related programming, and helped to advance federal and other agencies' tools and resources. Through these efforts, CEP has built a valuable infrastructure of city-level relationships and expertise that may be applicable to new areas, such as deep energy retrofits, reducing on-site fuel use and related emissions, and/or market integration and transformation of older, less sophisticated buildings.